InnJoo V1 Monster Device InnJoo is not only working hard to regain the mobile market, but they are working hard to remind you give the best monster machine that you can always live to adore. While also planning releaseInnJoo 3, a device that micro usb flash drive support with a metal body, she revealed another device called InnJoo V1. 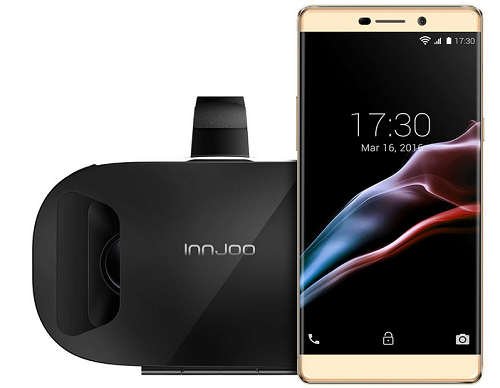 InnJoo V1is not just a smartphone, but a device that VR is finished, larger screen and runs on Android 6.0 Marshmallowout of the box, impressive camera and supports Fingerprint ID that takes 0.23s to unlock. I'm pretty sure you know curious about the full spec. 1.Innjoo V1 V1 has a 6-inch Full HD IPS touchscreen with 1080 x 1920 resolution of the device. 2. The smartphone runs Android 6.0 Marshmallow out of the box, which is faster and saves more power than its predecessor. 3.Innjoo V1 is powered by Mediatek MT6735A which a quad-core processor clocked at 1.3 GHz and 3 GB of RAM has Indoors. 4. Internal storage is capped at 32 GB ROM which can be expanded up to 128 GB with a microSD card.